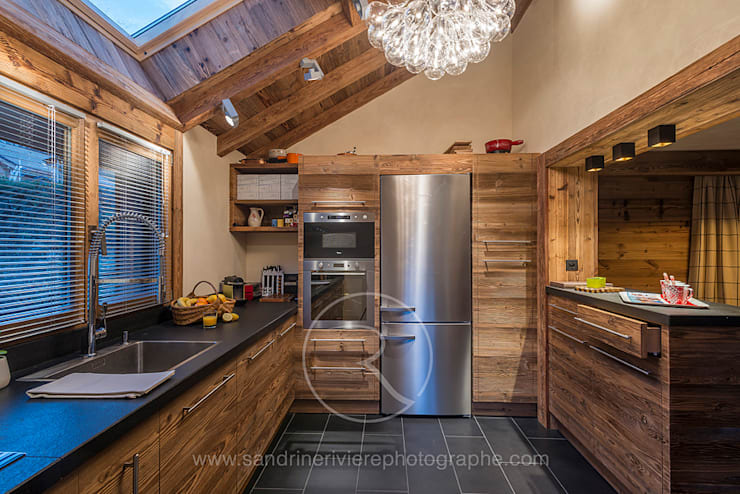 Wood is a very versatile and rich-looking design element, which can easily up the style quotient of any and every space - including your kitchen. It has a timeless and slightly rustic energy, which can fill a space with a certain ambience. Apart from furniture and fixtures like doors as well as windows and closets, wood can also be used for shelves and counters. When we speak of surfaces like counter tops, we instantly think about warm wooden kitchens. 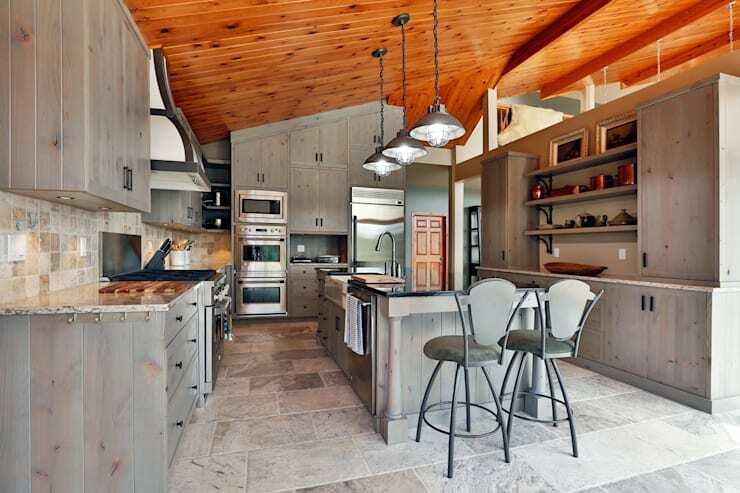 Yet, many of us hold the notion that a kitchen done up in wood is an old one with classic beauty. Designers the world over will tell you that wood has a classic appeal that sits well with any kind of decor scheme from modern to minimal. 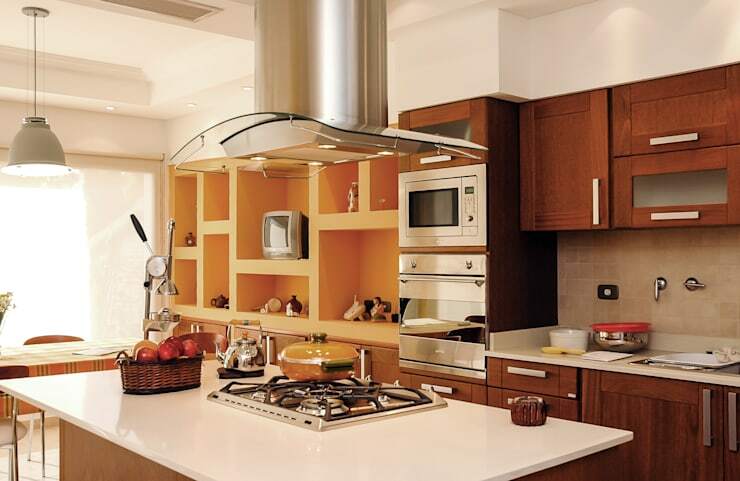 So come and explore the various ways in which you can create a modern kitchen with the help of wood. This Canadian kitchen has a curious reverse effect when it comes to the colour palette. The warm and solid hue of the floor has come to clad the ceiling in saffron hued wooden planks, while the tiled floor has a more neutral effect. In between, re-purposed wood gives it all a warehouse-style twist. Curious to see more? Take a tour of the gorgeous lakeside retreat in Winnipeg that houses this unique kitchen. This modern kitchen has a practical and warm flair, thanks to the wooden cabinetry and the island. 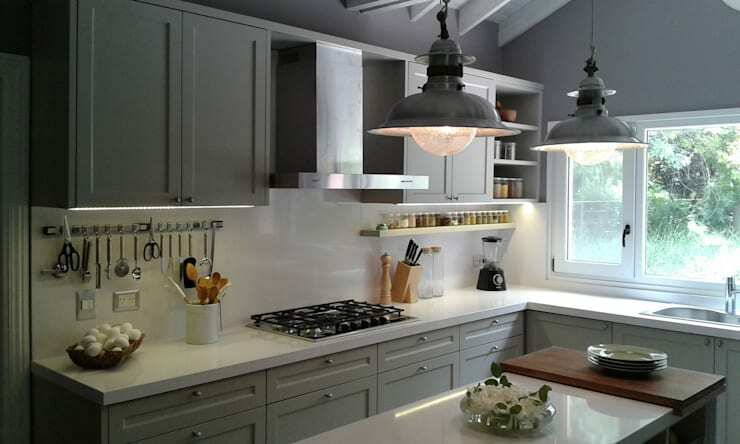 The cabinets are in a soothing white grey hue while the natural grain of chestnut wood shines bright in this pristine space, as a contrast of sorts. 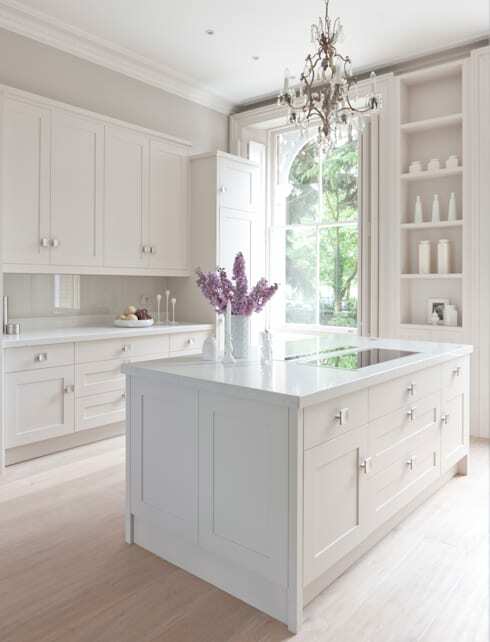 This beatific white kitchen in painted white wood is a joy from the very first glance! The neutral-hued wooden flooring and the large door by the side along with the white crockery on the shelves makes for a white on white statement that spells classic, modern beauty! A glossy countertop in white rounds up the entire scheme in one neat style swipe. The straight lined, modern charm of this log cabin-inspired style is indisputable! Watch how the natural grain of this oak-paneled, chrome-fitted kitchen comes alive. The black counters add a dash of style while the beams hold skylights and a quirky chandelier above. 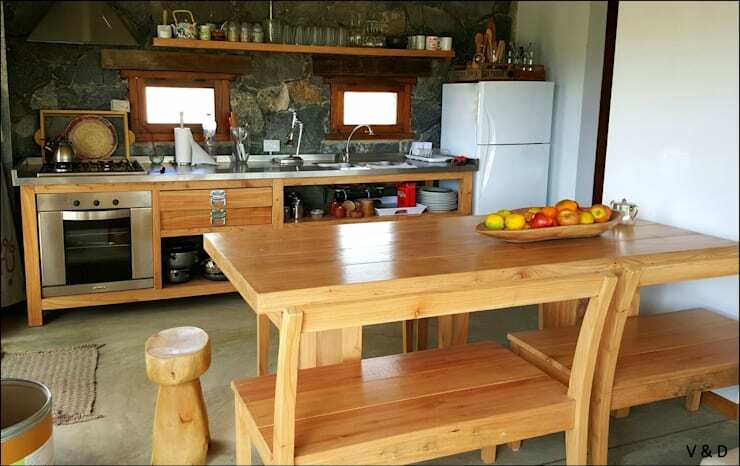 A wooden island is a wonderful design element, which can fill your kitchen with the right dose of warmth and a down to Earth appeal like none other. This island takes on a more modern mantle as it brings in a picnic-style bench for the seating, so that the space can be used as a breakfast nook. The designers from Carbone Fernandez Architects have created a sophisticated kitchen where a playful vibe has also been accommodated. This is thanks to the dual-toned wooden shelves and cabinetry that one finds in this modern and sleek kitchen. Chrome and glass come to hover over the rest of the style scheme here. Here are some awe-inspiring ideas that might interest you - 12 well-planned kitchens that get the recipe right!